Apache PDFBox, an open-source Java library supports the development process alongside the conversion of PDF documents.With this tutorial, learners would be able to build applications which rather involve creation, manipulation and deletion of PDF documents. 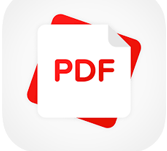 This section has been made for those readers who are intersted in understanding the basics of PDFBox library. This helps the learners in building complex applications which rather involve in creation, manipulation and deletion of PDF documents. Readers are expected to have little knowledge on Java Programming Language.